Do you feel hopeless, unloved, and defeated? Love Letters from Jesus will flood your heart with God's love, imparting hope, joy, peace, and victory for you as you walk with Him. They were inspired by the words and life of Jesus and 1 Corinthians 13-the love chapter of the epistles. There are countless testimonies of thanks for the inspiration and encouragement these letters have provided. "I received a letter from this book before it even got published, and it touched my heart deep down where my tears puddle. This is an amazing collection of thoughts straight from God's heart. Ms Boenau's very personal relationship with the Lord is evident in each page. A book for everyone on your list." "Love Letters from Jesus is a joy to read. I find comfort in every word. I would highly recommend this book." 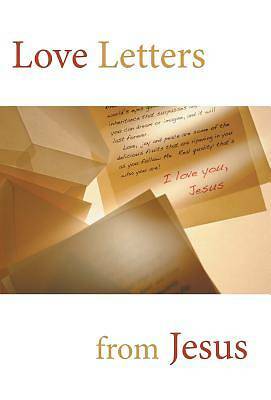 "Love Letters from Jesus is a precious book relaying the unconditional Father's love for us based on all scripture. The truths in this book are needed to keep our minds free from fears and our hearts focused on heaven. This book is written for our present times."